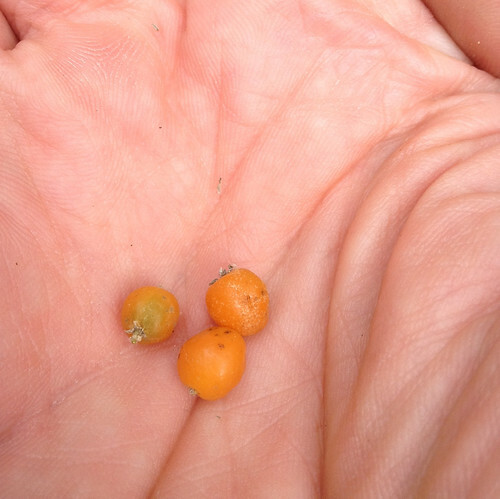 Desert Hackberry fruit when ripe. 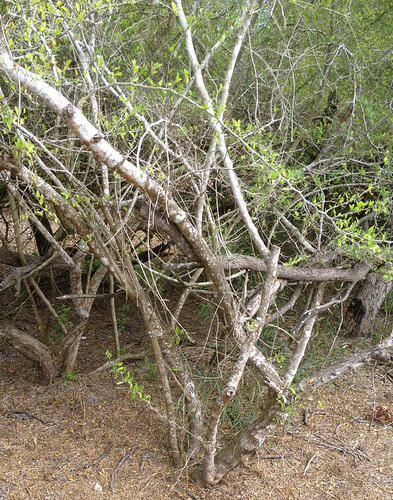 Thicket of Desert Hackberry trees. 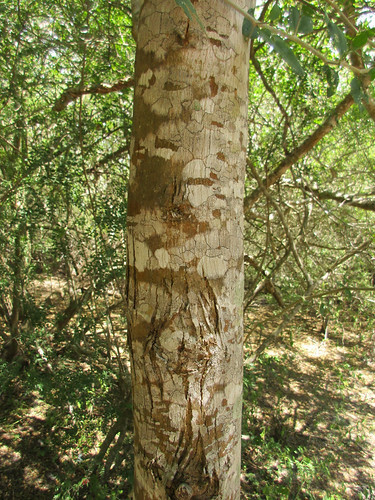 They grow with interlaced trunks and branches. 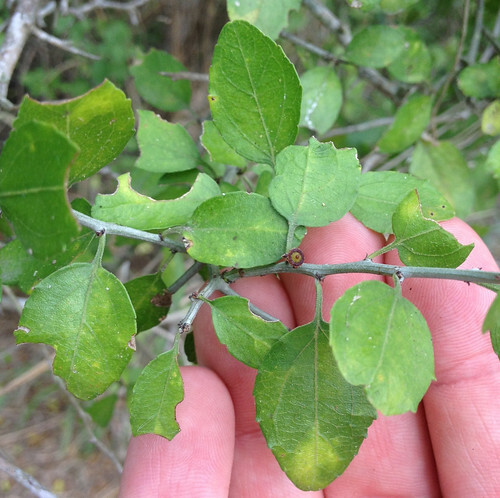 Note how the young branch "zig-zags" betweens leaf nodes and spines. 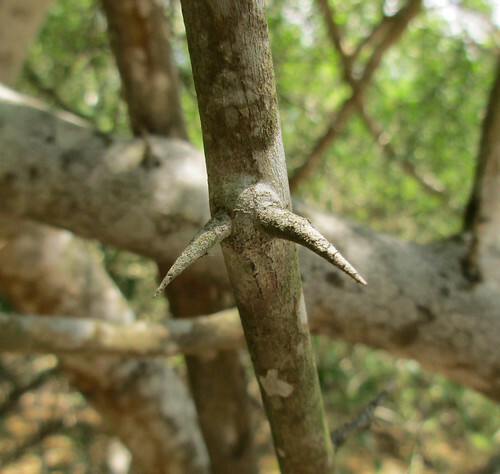 Close-up of spines on young twig. 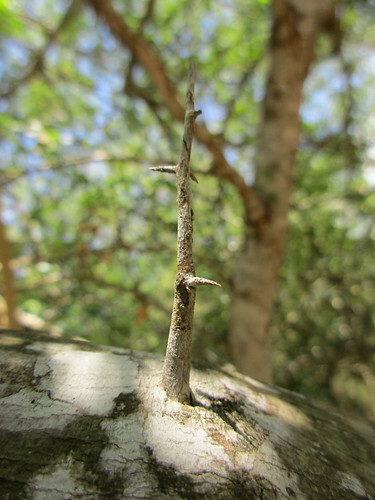 Close-up of spine on mature branch. As much as I love Desert Hackberries, birds love them even more. The spiny thickets that these small tree form are are a safe, food-filled haven for all manner of small birds. 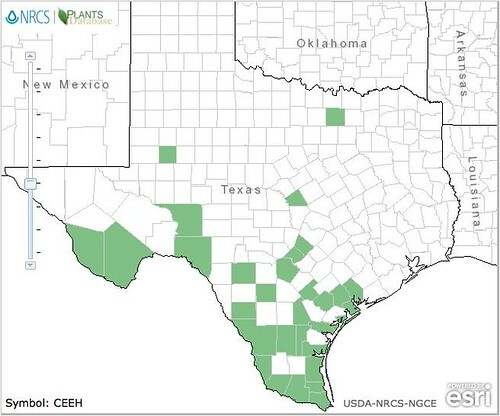 Look for these thickets in arid, hot areas of south and west Texas, though in these environments they will likely cluster near water sources including dry gullies. The trees rarely get much over 15 feet tall. 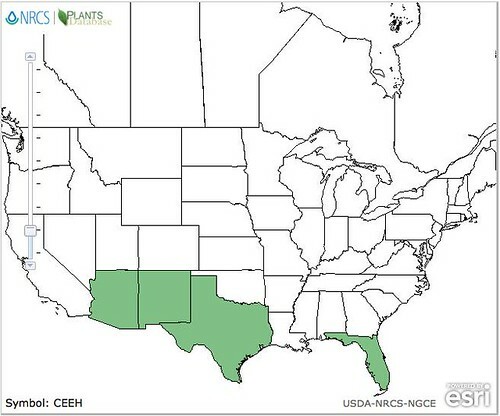 The small, oval leaves stay on the tree most of the year but can fall in extremely dry conditions. 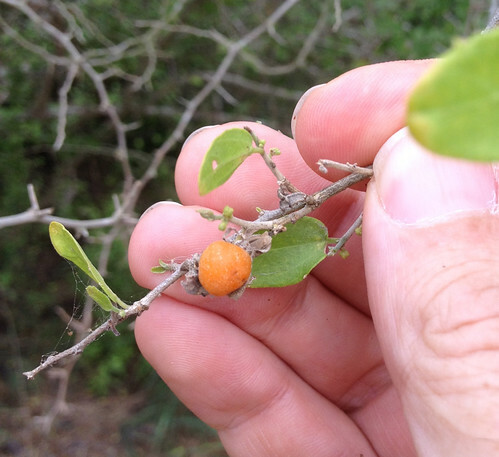 The ripe fruit is quite sweet, orange in color, and its single seed is much softer than the hard stone found in Sugar Hackberry fruit. I each the whole thing raw, seed and nut combined. 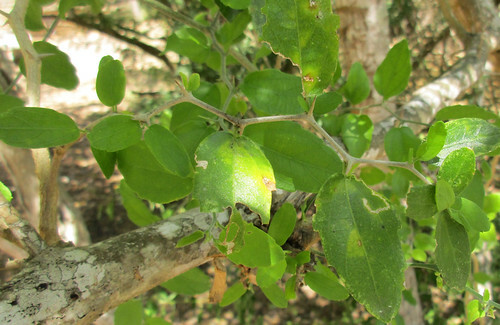 It can be eaten raw, mashed then baked into a calorie-laden snackbar, or boiled in some water to make a syrup. A truly industrious person could gather enough of the ripe fruit to make a bottle of wine or two if they were willing to fight through the plant's thorns...and deal with the resulting angry birds.